On Saturday the Portland area recieved yet another blast of winter. High wind warnings, low 40’s and over an inch of rain so, I’d been pushing the buttons in the automobile. From country to soft rock and then I settled on this little gem from XM DeepTracks channel. With its stuttering intro and swagger…it’s about living in the moment, enjoying the ride. 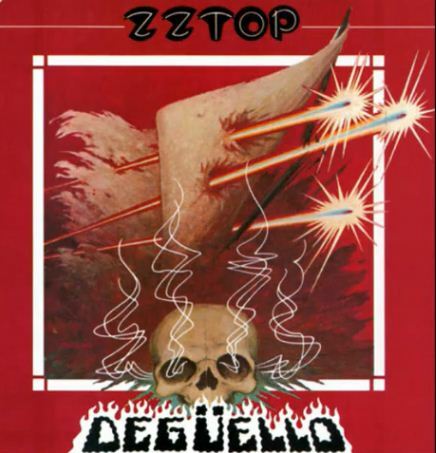 The cool cat musicians I reference are ZZ Top singing “I’m Bad, I’m Nationwide” from the 1979 “Degüello” album. I cranked up the volume to revel in the magic and was instantly reminded of the Aquarius Amphitheater at the 2007 Laughlin River Run. It was the 25th Anniversary of the motorcycle rally and ZZ Top headlined the largest bike rally in the western U.S. Thinking back to the concert I remember the stadium steps were sticky. The people were sweaty. The liquid refreshments were warm. But we were thrilled to be there. There wasn’t a special section for hedge funders, no separation of the classes, we were one, motorcycle enthusiasts from across the country reveling in the music. If you’re unfamiliar with the Laughlin, NV rally then it’s a must add to your riding “bucket list.” It’s four days of wall-to-wall bikes, exhibits, vendors and entertainment. The rally is distinctive with 10 major casino resorts along a two-mile stretch on Casino Drive and everything is literally at your hotel doorstep. The desert makes a great backdrop and riding bonus for the event. Sure there have been moments of negative, but in about 3 weeks it will be time for the 2010 Laughlin River Run. I’m looking forward to a quick drive-by and then it’s on to a scenic tour around the canyon. Grand Canyon. I’ve previously posted on the 2009 Laughlin Rally HERE and 2008 Rally HERE. 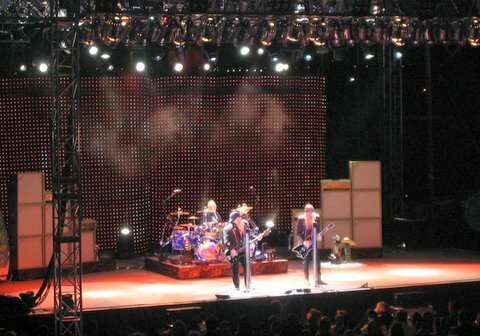 Photo courtesy of ZZ Top, at Laughlin River Run.